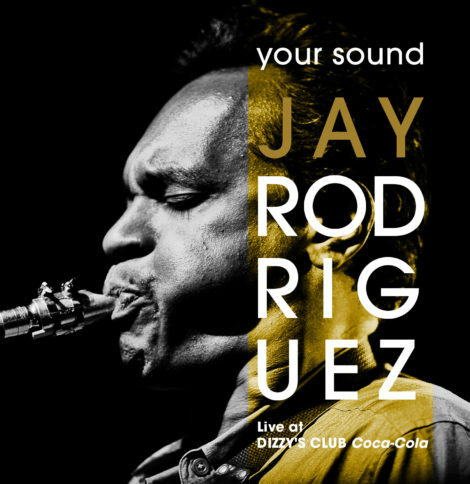 Jay Rodriguez has released a brand new album recorded live at Dizzy’s Club in New York, and features a stunning cover of a soul classic. Columbian born but New York City bred, jazz musician Jay Rodriguez has been dubbed as being “one of the busiest men in jazz” for the amount of performances he schedules for himself, working with his own groups including the Groove Collective, as well as performing with an impressive array of artists from Wynton Marsalis to Cab Calloway, from Stevie Wonder to Elvis Costello, and even Prince. He’s been nominated for three Grammy Awards, and is an accomplished saxphonist and flutist, although he has an almost unique ability to play most of the reed instruments. This month Rodriguez has released a stunning new album on Whaling City Sound, entitled Your Sound: Live at Dizzy’s Club Coca-Cola. The album is an exciting snapshot of live contemporary jazz, performed by some excellent musicians. Joining Rodriguez for the performance were bandmates Billy Harper (tenor sax), Larry Willis (piano), Eric Wheeler (bass), JT Lewis (drums) and Billy Martin (percussion). Together, the band mesh together to create a superb collaboration of original material that sees Rodriguez flip between the sax and the flute with breaktaking ease. At times the performance is fast-paced, and others it’s captivatingly romantic, no more so than on the beautiful ‘When the Stars Fell’. However, it’s the closing song on the album that caught our attention: an inspired cover of a soul classic, The Manhattans’ ‘Kiss and Say Goodbye’. Originally released by The Manhattans in 1976, Rodriguez and his band reinterpret this well-loved song, giving it a powerful jazz makeover. Rodriguez’s sax plays the song’s melody boldly, while his bandmates lay down a romantic groove. The choice of ‘Kiss and Say Goodbye’ is an inspired one, and Rodriguez provides his listeners with a completley new take on an iconic soul track. Your Sound: Live at Dizzy’s Club Coca-Cola is avaliable on iTunes and Amazon now, and you can find out more about Rodriguez’s impressive career on his website.